Over the course two weeks – on two separate occasions – women reported being groped on Air India flights. Within days, the state-owned airline announced that it would keep plastic handcuffs on all of its flights, to restrain passengers who get “totally out of control.” Now Air India is taking an additional measure – reserving a female-only row of seats on its airlines. Starting Jan. 18, passengers will have the option of purchasing tickets in the reserved women’s only section, six seats in the third row of the economy class, the Press Trust of India reported. The airline’s decision has been met with both criticism and praise, and comes on the heels of two different reports of women molested on flights. On Dec. 21, a male passenger traveling from Mumbai to Newark on Air India shifted to a vacant seat in the economy class to be next to a female passenger, the Times of India reported. When she fell asleep, he allegedly groped her, waking her up. She reported the incident to the cabin crew, and lodged a complaint to the authorities when she arrived in the U.S.
Less than two weeks later, a middle-aged man was arrested after an Air India hostess complained that he had allegedly molested her on a flight to Delhi from Muscat, the Times of India reported. The plane had just entered Indian airspace when the flight attendant informed the captain that a passenger had “touched her inappropriately” and “repeatedly” used lewd language. Some voiced similar criticism on social media, while others commended the airline for promoting the safety of women. 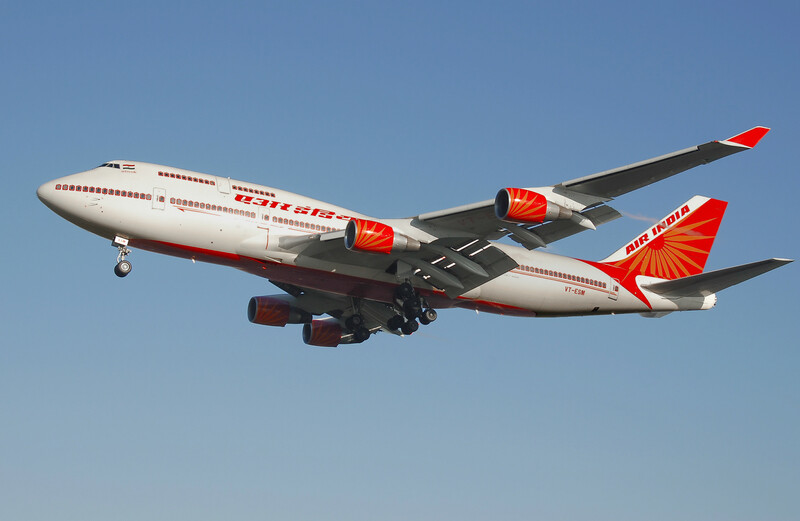 This is not the first time Air India has faced criticism on a women’s rights issue – in September of 2015, the airline announced it would be grounding about 130 of its flight attendants – mostly women – because they were overweight. On other forms of transportation, a number of cities in India and in other countries have introduced female-only sections, with varying levels of success. In India, certain local and long-distance trains, metros and buses have reserved berths, seats or coaches for women. In 2008, Mexico City started a women’s only bus service to protect female passengers from groping and verbal abuse common on the city’s packed public transportation system. The special buses pull up at ordinary stops but have large pink “women only” signs on the front and side. Rio de Janeiro brought in women-only carriages for rush hour on the city’s metro in 2006, after concerns about widespread sexual harassment, but they are widely ignored and enforcement is sporadic. In response to an uptick in groping incidents, Tokyo introduced women’s only carriages in certain metro and train lines more than a decade ago. China experimented with a women-only service in the eastern city of Zhengzhou this past summer in an effort to cut the number of groping incidents. Previous articleIn an Unusual Protest, Two Indian Soldiers Post Facebook Videos to Air Their Pain. A Nation Listens.